Simplifies turning your car on and off using a key fob unique to you. What It Does: Makes it easy to turn your car on and off. 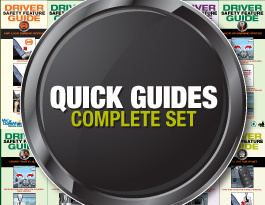 What It Does Not Do: Start your engine if the brake is not applied or the gear is not in park. Make sure the key fob is inside the vehicle with you. Step on and hold the brake. 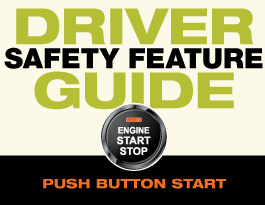 Push and hold the engine start button until the engine starts or shuts off. This feature simplifies turning the car on and off – it’s really as simple as pressing and holding a button. This feature uses a unique signal from a key fob to activate only when your key fob is on or within a few feet of you. 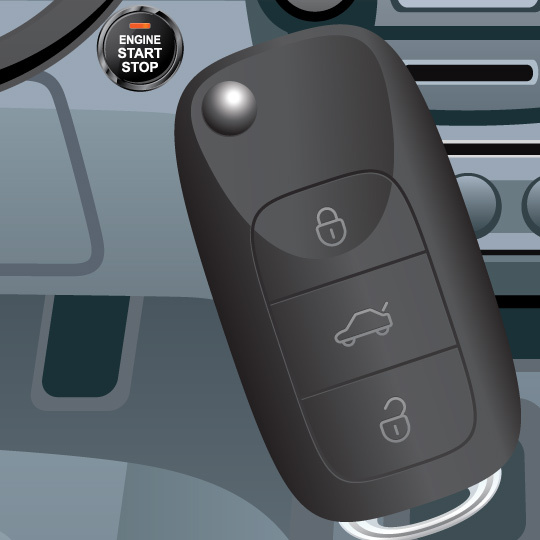 Only the signal from your key fob will allow you to turn on your car with a push button start. After you get into the car, you should apply the brake then press and hold the engine start/stop button until your engine turns on. To turn off your car, make sure your car is in the parked gear, then press the engine start/stop button until the engine shuts off completely. You may also want to apply the parking brake. Make sure your car’s engine is off before getting out of your car. 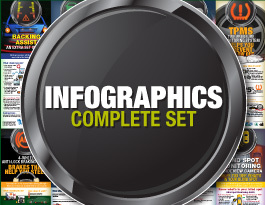 This reduces the risk of carbon monoxide poisoning if you leave your car in an enclosed area. 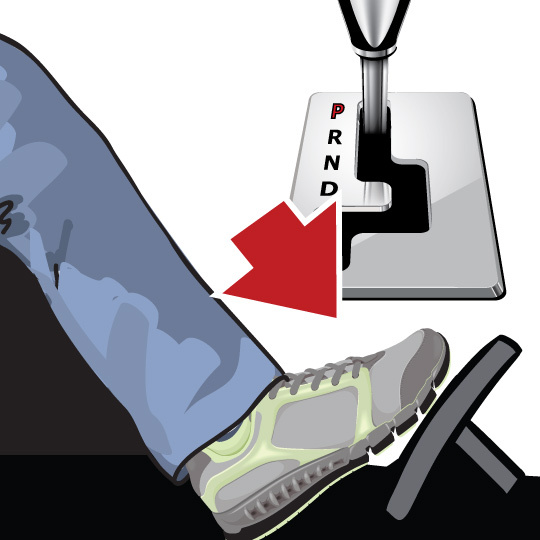 As you do with any car, apply the parking brake after you’ve turned off your car in order to reduce the risk your vehicle will roll away. Does push button start make it easier for someone to steal my vehicle? 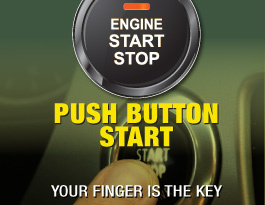 Push button start provides superior car theft protection compared with keyed ignition. What do I do if I just want to turn on my radio? 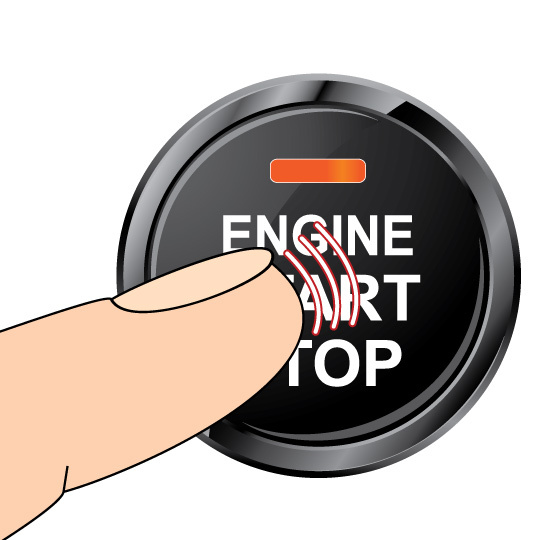 Push button start is designed to work similarly to using a traditional key ignition; you can turn on specific features by quickly pressing your push button start without holding it and without your foot on the brake. 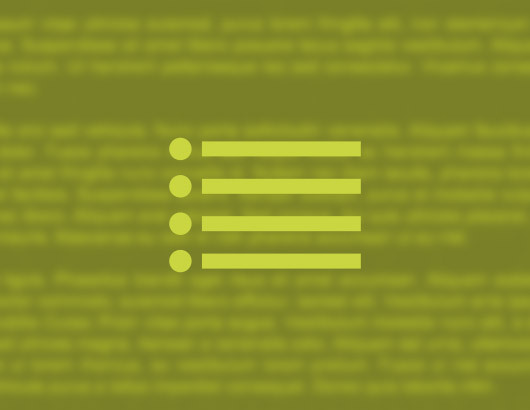 Check your owner’s manual for information on how many pushes activate which features of the car. One can think of push button start like this. With each press of the button, it’s like turning an ignition key one position at a time. With the foot off the brake, one touch turns on the radio. Another touch turns on the dash and other accessories. Push it again and everything turns off.